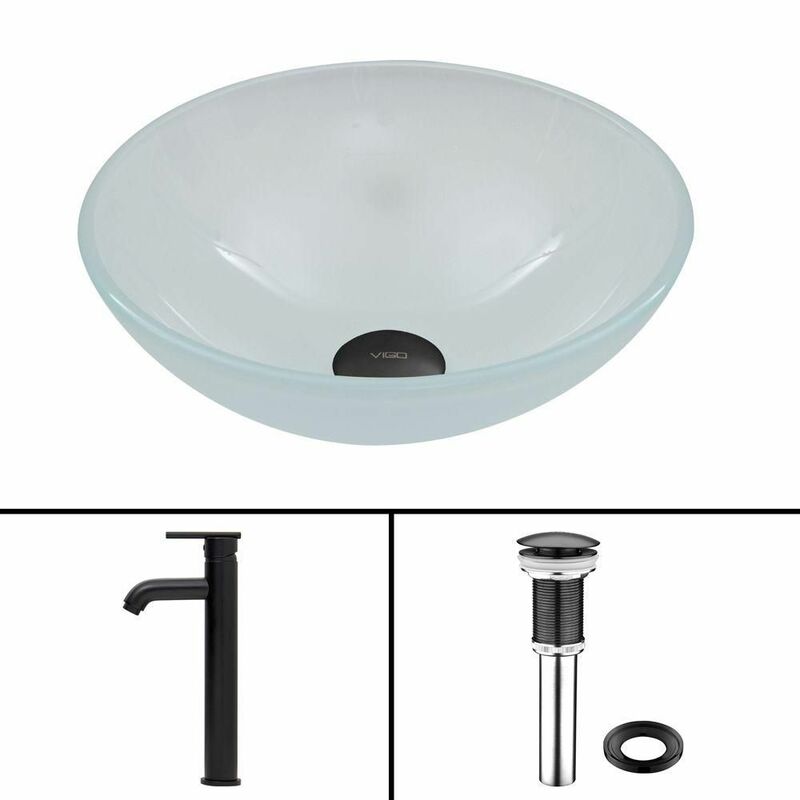 Glass Vessel Sink in White Frost with Seville Faucet in Matte Black is rated 5.0 out of 5 by 2. Rated 5 out of 5 by TamaraCampbell from Excellent Quality! Very fancy! Love it! Easy to install and looks great! Just was I wanted! Rated 5 out of 5 by JCJC from Quality product! Received shipment quickly. the items were carefully packaged and in perfect condition.